From Goodreads.com: A shy heiress and a well-known rake face a scandal-forced marriage that might be true love in the latest irresistible romance from the national bestselling author of Marry in Haste. Let me begin by saying two things. One, I have not read the first novel in this series (although I can only assume it has to do with Lily's brother's marriage to his wife Emmaline), and two there are so many little things that could have been added (or changed) to this story that would have made it just a little more enjoyable (at least for me). The fact that I have not read book one should not be taken as a deterrent. The fact that I have not done so did not keep me from enjoying the characters as were presented in this novel. I had no problems understanding the characters, and their relationships as they pertained to the story. The things I feel could have been done better? I wish the author would have allowed the reader to see more of Becky and her brother once they had arrived in London (did they get to see any sights? Did they fall in love with the city or long for their home? ), it seemed as though once Edward and Lily arrived in London their companions just sort of disappeared. I wish we had gotten to see a "showdown" between Aunt Agatha and her "rival"; the old biddy who had spread gossip about Lily in the first place, and above all that I wish we had gotten to see what happened to Sylvia once and for all. She burned all of her bridges - quite badly - and I am desperate to know what happened to her once she realized she was well and truly screwed. But that is just me and I love a good comeuppance. Strictly speaking about what we were given - I enjoyed this story for the most part. It was definitely a unique take on a couple different aspects (both the fact that Lily could not read as well as the survivor's guilt that Edward carried), I just wish these things had been given more of a spotlight (especially where Edward was concerned). 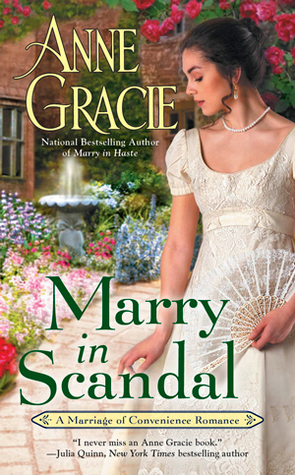 There were some areas that seemed rushed, and some plots that seemed more as a way to tie up loose ends than to truly add to anything, but on the whole, I enjoyed this historical romance, and I feel others will as well. I would read more from this author!